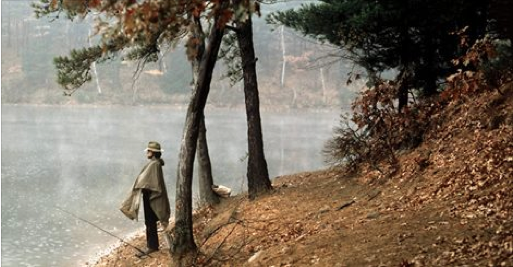 Melvyn Bragg and guests discuss the 19th century American writer and philosopher, Henry David Thoreau. Anti-slavery activist and passionate environmentalist, Thoreau was above all a champion of self-reliance and individualism. He was also a champion of the simple life, a lover of nature and an enemy of the modern who lived alone in a log cabin in the woods away from society. Yet in many ways Thoreau remains a mystery, a man of contradictions who advocated self-sufficiency but was happy to let his mother do his washing and cook his meals.With Kathleen Burk, Professor of American History at University College London; Tim Morris, Lecturer in American Literature at the University of Dundee; Stephen Fender, Honorary Professor in English Literature at University College London. 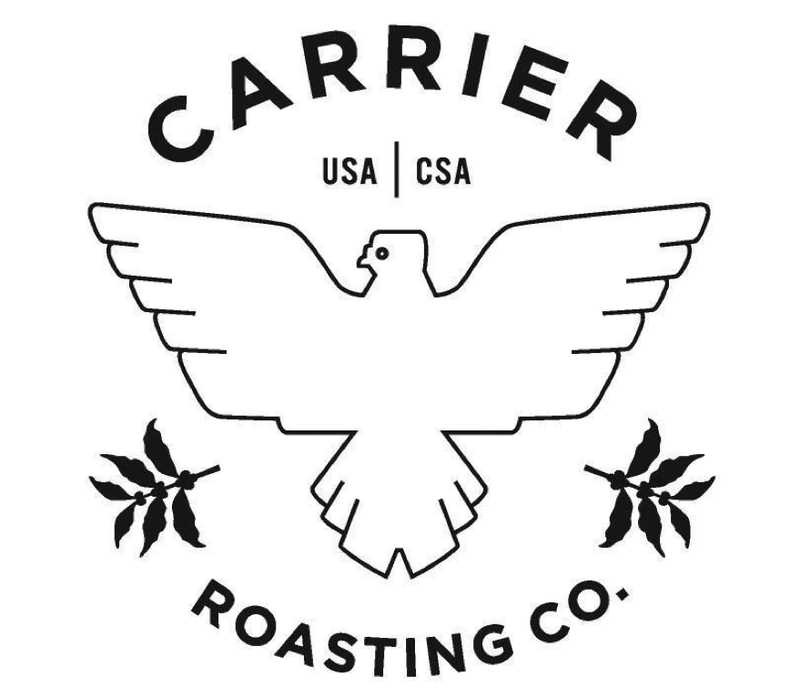 10E2466: Giveaway - Carrier Roasting Co.
"Scanning local retail and grocery store shelves for fresh beans was incredibly frustrating and unfruitful. Occasionally we would find a bag that was roasted a month or maybe a few weeks ago (if we were lucky). But more often the coffee we could buy was stale. We don’t buy rotten fruits or vegetables, or meat that’s past the fresh date...so why suffer through coffee that’s past its prime? " 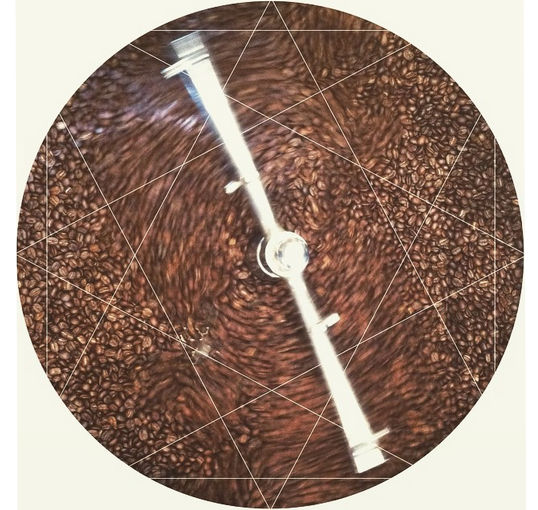 At its heart Carrier Roasting is simply 2 guys micro-roasting ethically sourced coffee beans and distributing via CSA in New England. 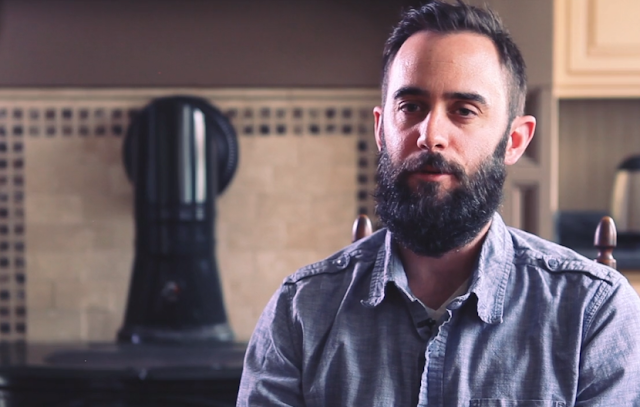 Scott Kerner (above and) Ross Evans (woodstove below). If you are in Boston you can get their product via Farmers to You, a Vermont operation that brings fresh products down twice a week... more on them here: http://farmerstoyou.com/. Or visit their site CarrierRoasting.com and sign up direct. 10e: Preferred roasting style for Carrier - lighter green, or darker bitter french? 10E: What are the philosophical issues that bean importers should think about? We think a lot about where the bean came from, what the farmer did to grow it, how the buyer procured it, how much the farmer was paid and how fresh it is. We really focus on fresh, but we also need to know the origin and what conditions the beans were grown in before we buy a sample. We’ve been approached by sellers at origin who won’t tell us much about where their beans come from, or how much the farmers are paid… we’re not going to buy it. I guess that’s more sociological than philosophical… but we also think about what the flavor profile of the bean is going to be when it’s roasted. We have notes from the buyer to go off of, but ultimately we want a sample so we can roast it on our machine. 10E: Can you decipher the popularity of pourover/chemex in last 5 years?? I’m all over the place when it comes to brewing techniques. In a single week, I’ll brew on a Bonmac dripper, Chemex, French Press, Aeropress and a bialetti. If I had to choose a favorite, it would be pourover with the Bonmac dripper. I use a Japanese gooseneck kettle made by Hario to pour the water which makes it super easy to adjust the flavor/strength. 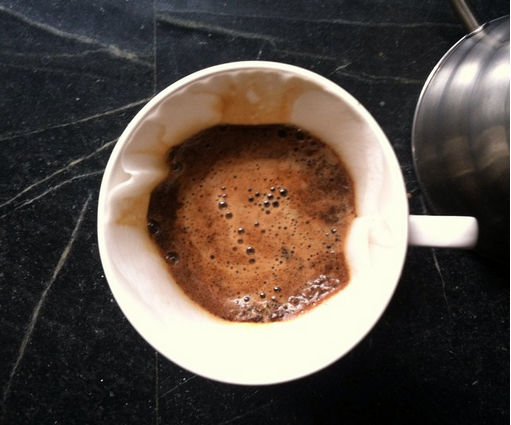 It’s a really versatile technique, but I’m also the only coffee drinker in my house, so it makes it easy to brew a single cup. But I’m pretty religious about only drinking two cups a day. One in the morning and one in the afternoon, around 2:00 or 3:00 pm. I’m a pretty level guy, so it doesn’t make me crazy or jittery. 10E: Besides "ethically sourced / top quality" what are you looking to convey? 1 banger cup a day? Quality over quantity is definitely a theme. Also, coffee doesn’t have to be so special that it can’t be brewed in a coffee pot, or some other “less hip” method. We’re trying to be accessible too…not overly “stuffy” or “snobby”. When we write tasting notes, we tend to stay away from comparing coffee to jolly rancher flavors or whatever…coffee should be good and well-thought out, but it doesn’t have to be untouchable or overly precious. 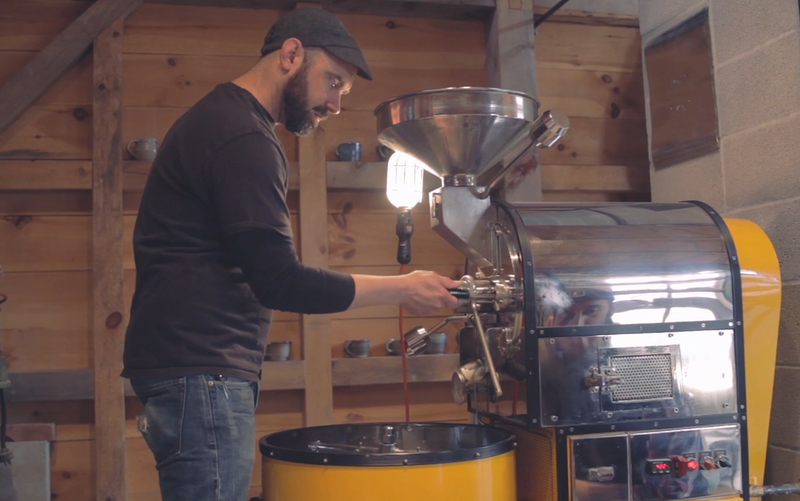 About 80% of our beans stay in Vermont, where we don’t have as much access to thoughtfully sourced/roasted beans, especially in the more rural areas. Our customers have really enjoyed learning about where coffee comes from, how it’s grown and processed and how to brew it…it’s been an education for a lot of people. In Vermont and I’m sure other areas we’ve been trained to disregard coffee’s freshness, or where it came from and how that impacts flavor…so we’re trying to bring about that awareness and so far, people are really excited about the approach. 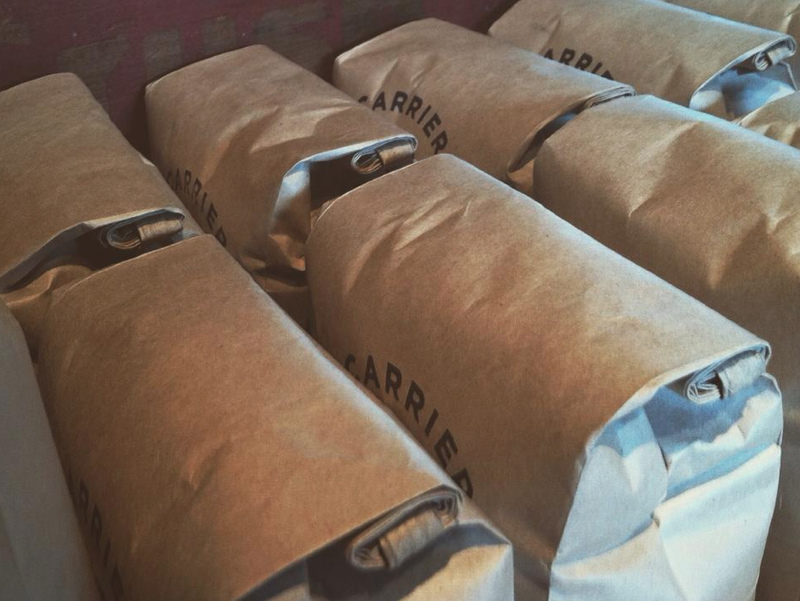 Giveaway: To win a bag of just-barn-roasted / probably to the sound of a cassette tape (check out their instagram) / handwritten-note-bagged coffee beans - visit CarrierRoasting.com and email me a preference on bean type and 2 randoms will get coffee to enjoy in the mail. OR - follow @CarrierRoasting on twitter and tweet out your choice. Winners alerted at 5pm East coast time. Congrats to Brian and JRT - Carrier will email you direct. 10E2465: Get Some Coastline Poetry Down Ya! From the National Trust in Britain, a celebration of the sea and coasts. 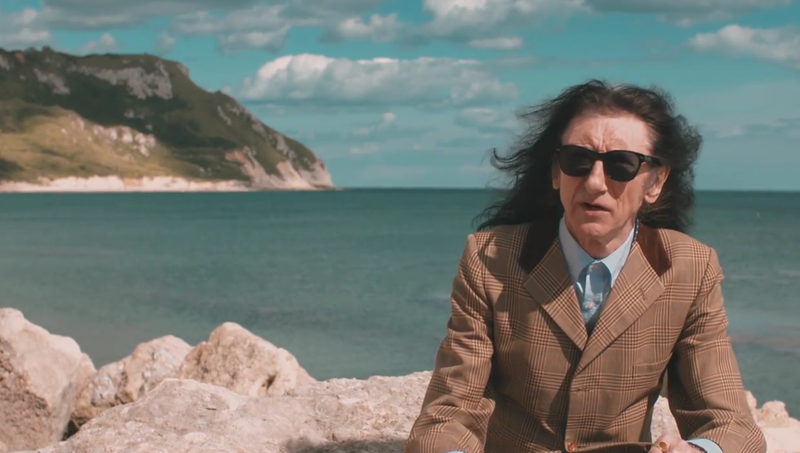 Dr John Cooper Clarke [dapper dude btw - ed.] is creating a coastal poem for the nation to help us celebrate all that's special about the sea. Clarke has created the first verses of the poem and you can help him finish it by sharing your memories and love of the coast using #lovethecoast. Swinging gently in a hammock is soothing. How to keep that gentle rocking if not moored in your rented yacht though? Note new rope tied to the porch upright... give it a tweak and keep the good times going. Almost subtle, compared to other lobster-phernalia. 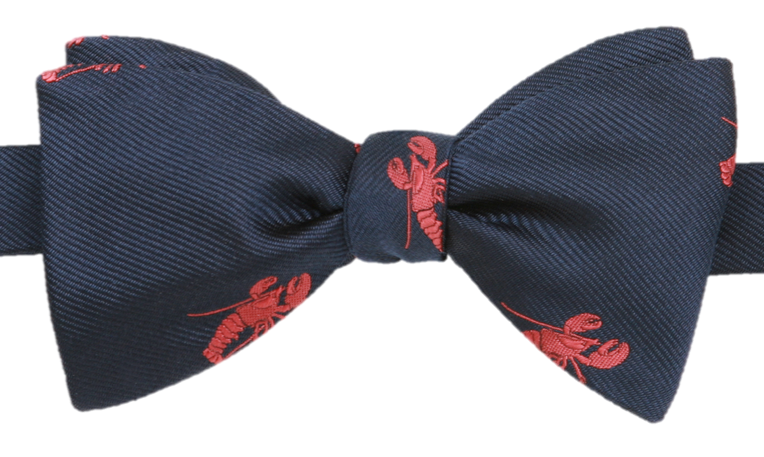 Made in UK, woven silk. $59. Via JPress. Chef's Table, a Netflix series of short docs by the director of Jiro Dreams of Sushi focuses an episode apiece on several modern chefs; Ben Shewry (Attica Restaurant in Melbourne, Australia), Magnus Nilsson (Fäviken in Järpen Sweden), Francis Mallmann (El Restaurante Patagonia Sur in Buenos Aires, Argentina), Niki Nakayama (N/Naka Restaurant in Los Angeles, CA, USA), Dan Barber (Blue Hill Restaurant at Stone Barns and in New York City, USA) and Massimo Bottura (Osteria Francescana in Modena, Italy). Massimo is up first - my fave bit was how he helped rescue a local parmigiano factory by publishing a parm' heavy recipe, causing the factory to sell out. And while none of these are perhaps made with a critical eye necessarily (meaning they do not criticize decisions or actions or comment that stress makes some of them humorless... ), and are certainly food-pr0n at 1080dpi, it is always instructive to see what these disparate corners of the food world are up to.